Wow the place was just has the pics discribled, clean , in the middle of everything no need to drive walking distance to everything. jasmine was at the condo waiting for us with a Big Jamaican smile . Really nice apartment, great location, clean, comfortable, check in and check out process was really good. Nice attention from the Lady (Miss. Jasmine). Very spacious appartment (3 floors) with everything you need for your stay. 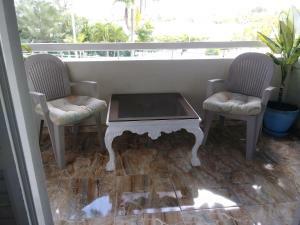 Situated near the beach and close to different restaurants. Staff was very friendly. Огромный номер, комнаты на трех этажах. Отличное расположение, вид на залив, чистая и удобная постель. 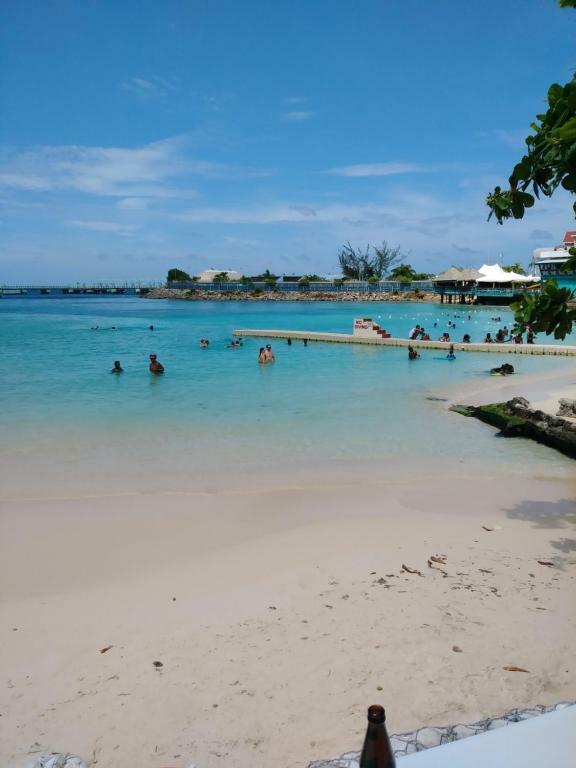 La ubicacion es excelente, prácticamente a pie de playa, cerca del centro de Ocho Rios a pie. unsere angenehmste Unterkunft auf Jamaika. Sehr großzügiges sauberes Appartement. Super Aussicht auf die Bucht vom balkon aus. Perfekt! Lock in a great price for Fisherman's Point Holiday – rated 8.9 by recent guests! Fisherman's Point Holiday This rating is a reflection of how the property compares to the industry standard when it comes to price, facilities and services available. It's based on a self-evaluation by the property. Use this rating to help choose your stay! 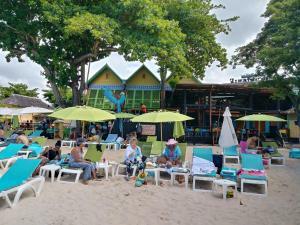 Offering an outdoor pool and a restaurant, Fisherman's Point Holiday faces Ochios Rios Bay Beach. The self-catering accommodations open out onto a balcony and have free WiFi internet access. All the apartments at Fisherman's Point Holiday feature a seating area, a dining table, and a cable TV with satellite channels. There is a full kitchen with a microwave and an oven. Air conditioning, a DVD/CD player and a safety deposit box are also included. You can enjoy sea view and mountain view from all the rooms. Some have ironing facilities. 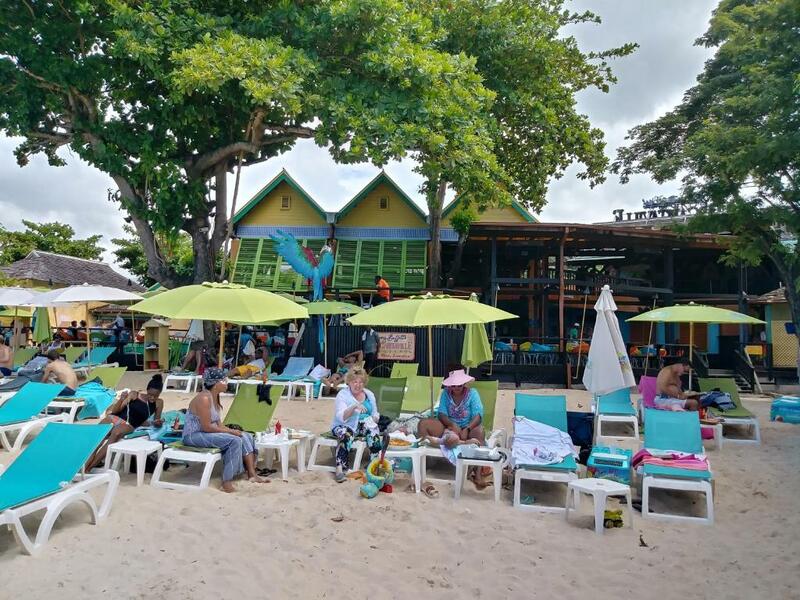 At Fisherman's Point Holiday you will find a 24-hour front desk, a garden and a bar. Other facilities like a nightclub, grocery deliveries and water sports facilities are offered. The property offers free parking. Montego Bay Airport is located within 1 hour and 30 minutes' drive. An airport transfer can be arranged upon request with surcharge. 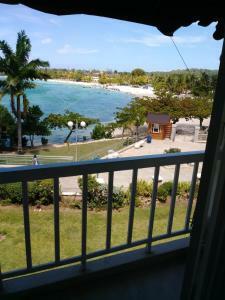 This property also has one of the top-rated locations in Ocho Rios! Guests are happier about it compared to other properties in the area. 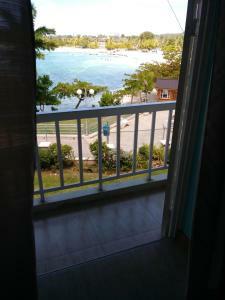 This property is also rated for the best value in Ocho Rios! Guests are getting more for their money when compared to other properties in this city. When would you like to stay at Fisherman's Point Holiday? Boasting a sea-view balcony, this beachfront apartment has a dining room and fully equipped kitchen with a microwave and an oven. It includes 2 bedrooms, 2 bathrooms and a loft. The apartment also offers a cable TV with satellite channels, air conditioning, DVD/CD player and a safety deposit box. WiFi is free. Boasting sea views, this apartment has a dining room and fully equipped kitchen with a microwave and an oven. It includes 1 bedroom, 1 loft and 1 bathroom. 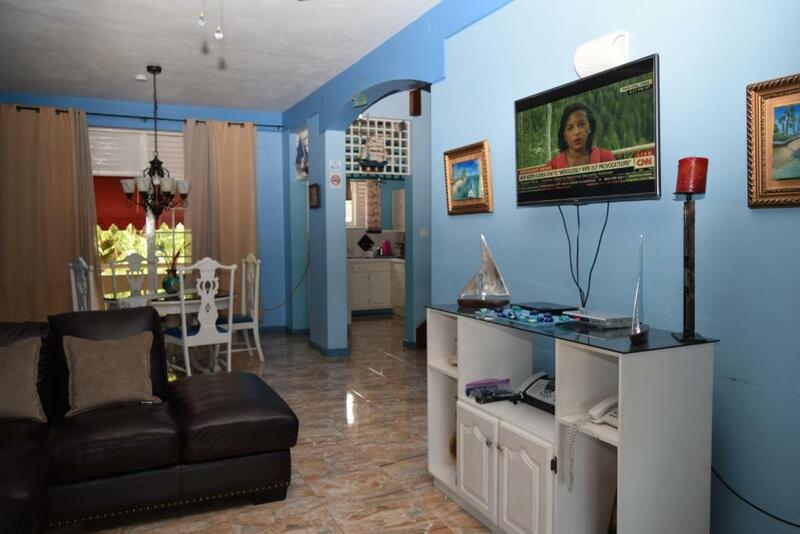 The beachfront apartment also offers a cable TV with satellite channels, air conditioning, DVD/CD player and a safety deposit box. WiFi is free. Stroll the pristine sands of beautiful Fisherman's Point Holiday Beach Hotel. This low-rise cluster of condos nestled into three acres of lush tropical foliage the heart central Ocho Rios Oceanfront. 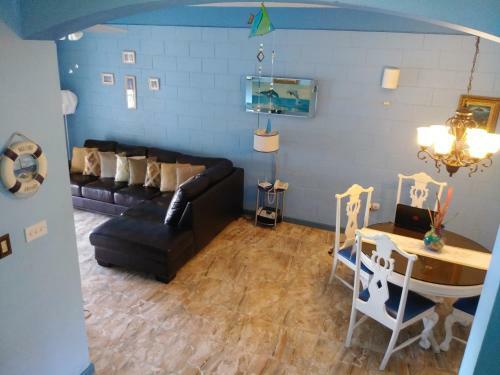 After water skiing, snorkeling through warm ocean waters, or a visit to a breathtaking waterfall, return to your own personal Privately owned one- or two-bedroom condo, complete with full kitchen,cable TV,WIFI and private balconies with mountain or ocean view. Ideal for couples, families, and groups, this condo resort offers a freshwater pool, restaurant, and bar. Fisherman’s Point Holiday condominium-style resort UNIT #29 is privately owned with its personal touch. All rental units come with kitchenettes and there is a full-service restaurant and bar on site. Units comes with Fulltime experience and trustworthy caretaker. ... This two level Private owned units is over 1400 sf in size which gives you huge advantage over conventional style hotel rooms. 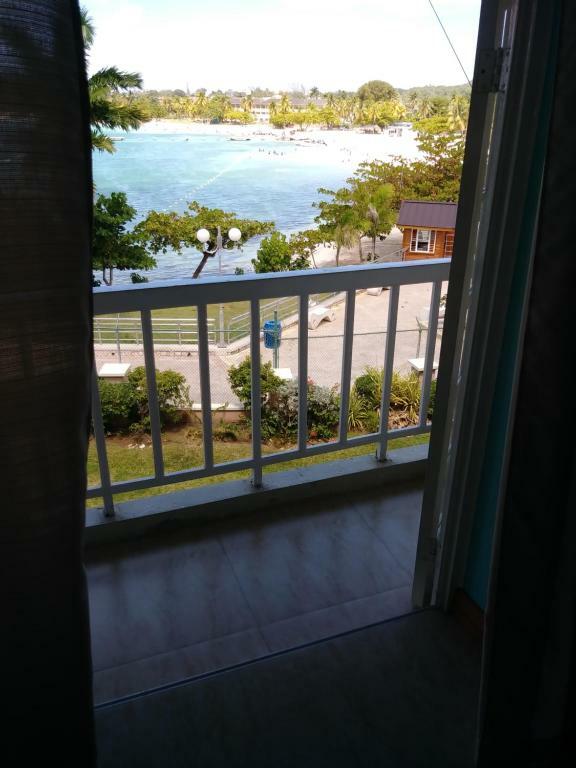 Just imagine waking up to a spectacular view of the beach this apartment offers. You really feel like you are at your own personal Paradise. Please note...WE OFFER CAR FOR HIRE OR SHUTTLE SERVICE For a minimal charge. My Name is Darling . I would like to welcome you to Fisherman's Point Holiday. I have been providing accommodation to vacationers for over 10 years. It give me great pleasure to welcome and serve my guest.. One of my favorite things about this place that it give you a sense of home and peace of mind. Also, its very convenient location. One do not have to take a Taxi to get anywhere. I like to walk so this works great for me. what i also like about this property is that you can step off the property and ran into all kind of friendly locals. Once you stay here you will definitely want to come back. Have a Happy stay!! House Rules Fisherman's Point Holiday takes special requests – add in the next step! Fisherman&#39;s Point Holiday accepts these cards and reserves the right to temporarily hold an amount prior to arrival. Fisherman's Point Holiday accepts these cards and reserves the right to temporarily hold an amount prior to arrival. Please make mention at front desk check-in that you are booked for private suit #29. and Jasmine will be your caretaker. Upon arrival please make mention at Security Personnel that you are booked for private suite #29. Please inform Fisherman's Point Holiday of your expected arrival time in advance. You can use the Special Requests box when booking, or contact the property directly using the contact details in your confirmation. Place was awesome! Wonderful view from Balconies. Very clean house keeper Jasmine was amazing. Stay was short but Will return. The apt is spacious. And the view was immaculate! The pool are was not really clean that was my only draw back. Quality of the bed was not fantastic and there where only transparent curtains on the windows in the bedroom. Trouble checking it was a private appartement so the lobby of the hotel could not help. Lot of Trouble with paying. Balance was also not correct. lot of noice at night from nightclubs. The cleaning lady only came ones although we stayed five nights. We had not enough clean towels and toilet paper.